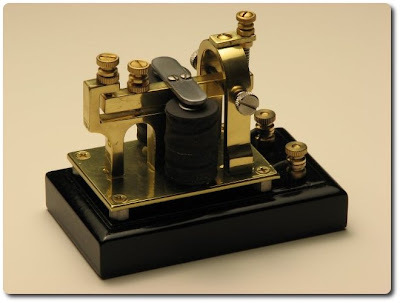 Steampunk designs and guides made by steampunk inventor Jake von Slatt. Keyboard Mod, more info and how-to here. 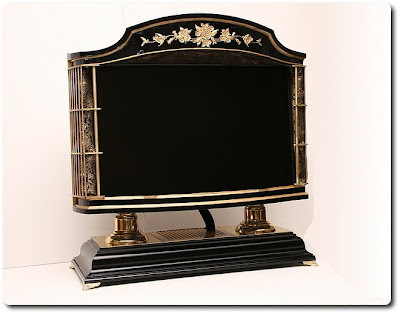 Flat Panel LCD Mod, more info and how-to here. 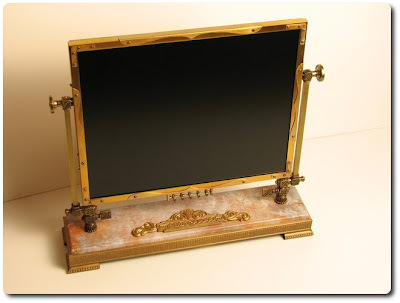 Victorian All-in-One PC, info on this site. Telegraph Clacks out RSS Feeds, check this. 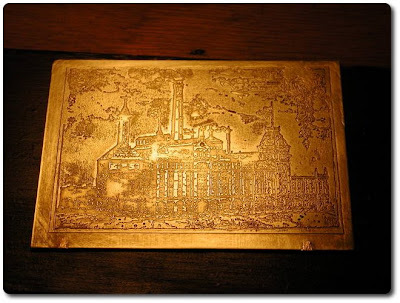 Brass plate... great article by Jake about electrolytic brass etching. 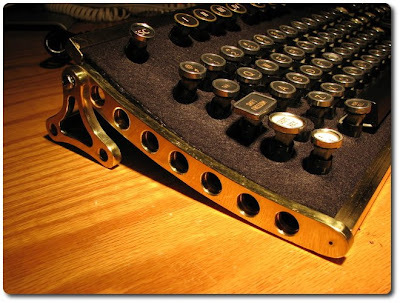 Check out whole The Steampunk Workshop site for more steampunk stuff and how-to's! Check out also steampunk guitar made by Jake in Guitars.